There is a lot of information on a product page on Amazon, but the most important is the Buy Box. On a desktop computer, it appears on the right of the screen. On a mobile device, the Buy Box appears below the product image and the main product details – price, discount information, availability, and shipping details. The Buy Box lets shoppers make selections about a product, such as the quantity they want to buy, as well as giving details of the seller. Crucially, the shopper can click Amazon's orange Add to Cart button to make their purchase – this button is in the Buy Box too. In other words, if you are a seller and it is your product listing in the Buy Box, you get the sale. Winning the Buy Box is, therefore, crucially important to being successful on Amazon. Of course, shoppers can choose not to buy from the seller in the Buy Box but to use another seller. There are multiple ways to do this. For example, shoppers can click on the link to view all sellers for a product and can then select the merchant they want to buy from manually. However, the vast majority of people will simply click on the option in the Buy Box. In fact, 82 percent of sales on Amazon go through the Buy Box. The number is even higher for sales on mobile devices, with many experts believing the total figure could be closer to 90 percent. Getting your listing into the Buy Box, or winning the Buy Box, involves understanding how Amazon's algorithm works. In summary, it looks at several factors to decide if a seller is eligible for the Buy Box. For most products, there will be multiple eligible sellers. Amazon then further analyzes the eligible sellers to determine what share of the Buy Box each should get. In other words, a single seller does not win the Buy Box every time. Instead, it gets a share of the Buy Box. However, Amazon doesn't allocate the Buy Box share equally. Instead, sellers who are strongest, according to its criteria, get the highest share. What About Amazon's Own Listings? 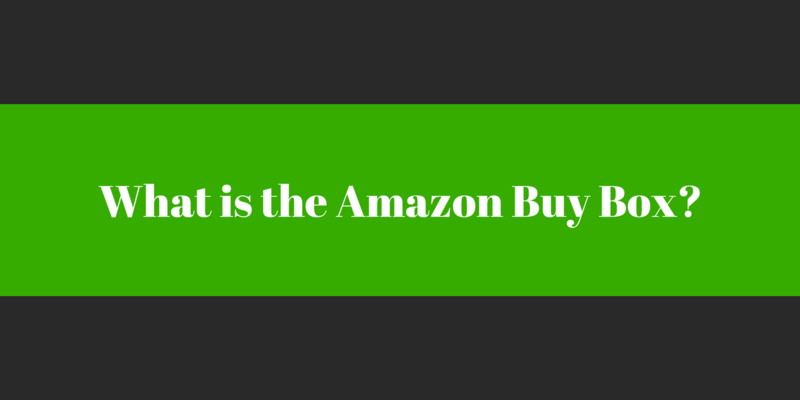 In many situations, sellers compete with Amazon as well as with other sellers for the Buy Box. This is a difficult task, but it's not an impossible one. Again, it all comes down to understanding how Amazon decides which sellers to put into the Buy Box. This is why you can't simply slash your prices to get into the Buy Box. More often than not, a seller with a higher price but also with higher seller metrics will get a greater percentage share. There is no single thing you can do that will guarantee you Buy Box eligibility or a greater percentage share. Instead, you must look at your overall offering. Are You Buy Box Eligible? Seller Status - this will normally need to be 98 percent or higher. Perfect Order Percentage - perfect POP scores are crucial. Landed price - shoppers consider product price and shipping. As a result, so does Amazon, and so should you. Fulfilment - ideally, you should use Fulfilment by Amazon. If you can do that, aim for Seller-Fulfilled Prime. On Amazon, the Buy Box is where the action is. If you spend time improving your service and using Amazon’s tools, you will improve your chances of increasing your share.